42minutes of unreleased recordings from Faust, featuring all original members. "yes. faust will forever be heralded as pioneers in the electronic/rock avant garde, emerging in the early seventies branching off from brit/american commercial rock bands, employing the use of alterior sonic landscapes to create a new musical tangent." (alternative press). For this very special release staubgold label manager markus detmer and faust member hans joachim irmler compiled unreleased faust recordings from 1971 to 2002, covering the legendary wumme years (1971 - 1973) and the time at virgin's manor studios (1974- 1975) as well as their new start in the early 80s and recent years. 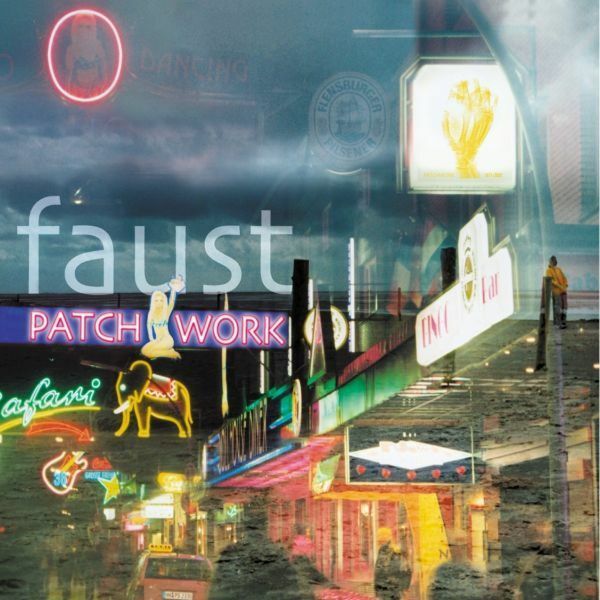 Compiled as a collage, as the title suggests, "patchwork" unfolds the core qualities of faust and gives a deep impression of their working method. "it was their persistence in the entirety of their trip that makes them so legendary now." (julian cope).